This Valentine’s Day, hunker down at home with the people who’ve truly stolen your heart: your family. 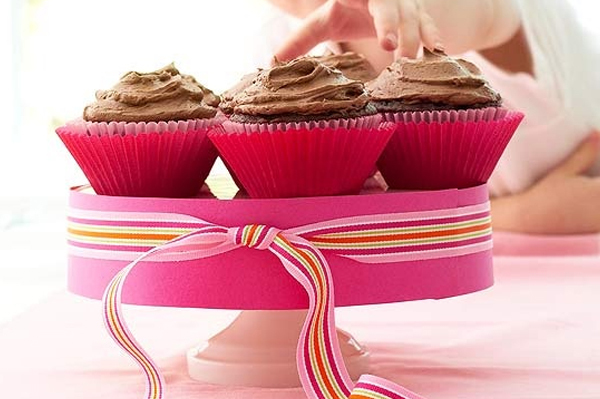 With help from some crafty mom bloggers, we’ve compiled a few fail-proof ideas for togetherness. 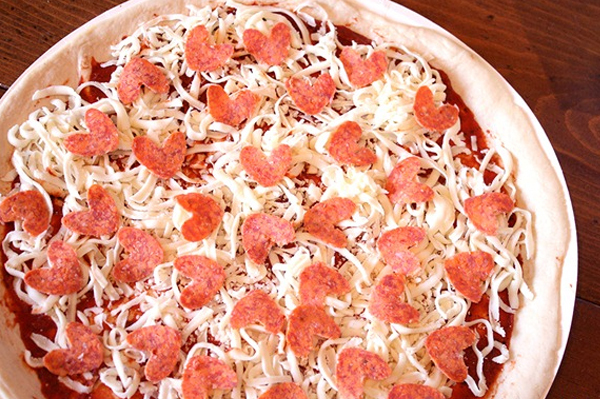 There are so many ways you can serve up a valentine-inspired pizza — all adorable, all tasty. If you’re late getting off work or running behind schedule in any way, take a hint from Cassity over at Remodelaholic and go the semi-homemade route by starting with a premade pie from Papa Murphy’s or even a DiGiorno from the freezer section at your local supermarket. If time is on your side, you can make a healthy homemade version using fresh ingredients. Get Cassity’s secret for creating those cute little pepperoni hearts. You’re celebrating, right? Well that calls for some decorative touches! 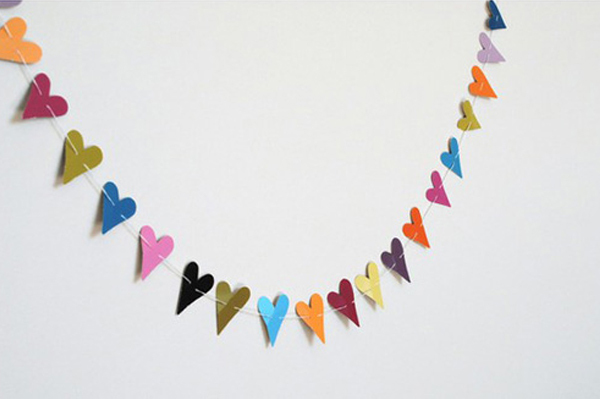 Enlist your kids to help you cut hearts out of paint swatches so you can create a colorful, one-of-a-kind garland. It’ll be fun for you and the kids, it’s easy to string up and, honestly, it’s so cute you probably won’t mind letting it linger a little while after V-Day passes. Any Mama worth her salt knows that a busy kid is a happy kid. To keep yours entertained, get crafty. 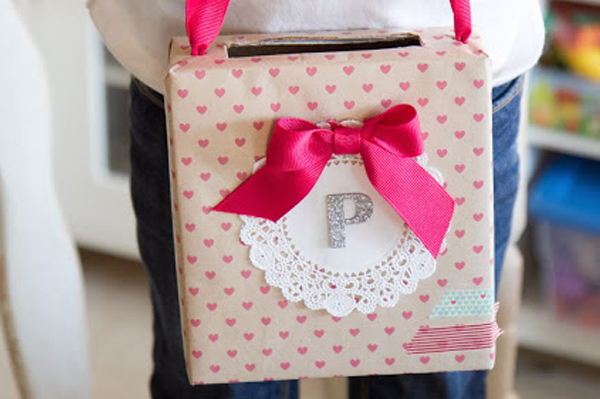 Using little more than some glue, ribbon, wrapping paper and a Wheat Thins box, your kids can whip up this adorable personalized Valentine’s Day cardholder. Another fun idea? 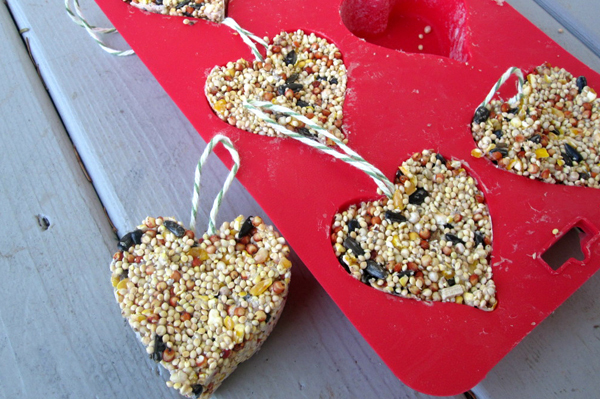 Creating a heart-shaped birdseed feeder. Get the rundown on how to do that here. And just remember… even if you can’t seem to make your fruit salad look like Kelly’s or your birdseed hearts look more like birdseed blocks, the most important thing is that you’re spending time with your family. 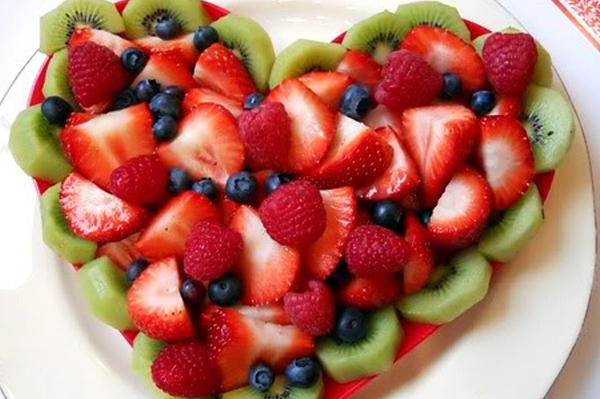 As long as you’re together, Valentine’s Day is sure to be a sweet success.